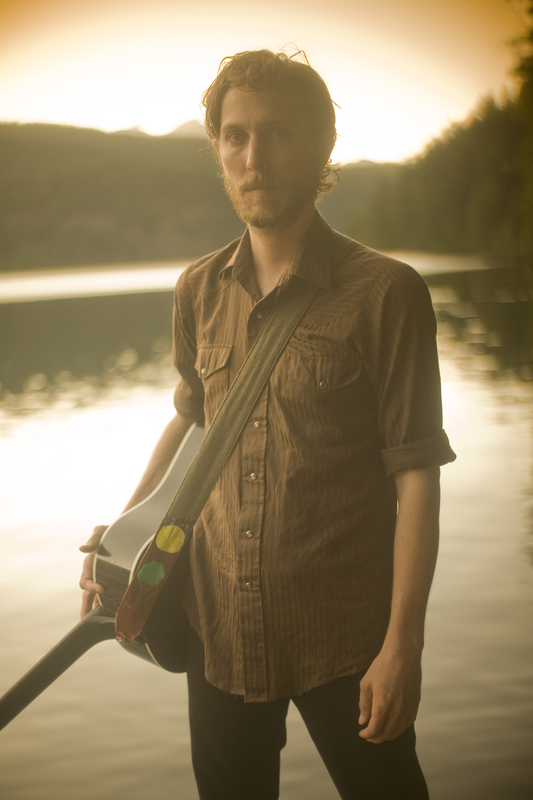 A band like Great Lake Swimmers shouldn’t really need an introduction, but if you’ve never heard of them, here we are. The band is built around the singer-songwriter Tony Dekker and they have been recently honoured at the Juno Awards in the roots & traditional album of the year and as best folk album at the Canadian Music Week . Dekker, shy and introverted, with an extraordinary musical as well as human sensitivity, lists Gram Parsons and Hank Williams as influences and their style has been compared to Red House Painters, Nick Drake, Iron & Wine and Neil Young, as well as Will Oldham and Sufjan Stevens. Copyright: Harbour Songs Publishing Inc. When Great Lake Swimmers’ Tony Dekker wrote the song “Everything is Moving So Fast,” he couldn’t have predicted that it would foreshadow the rapid success of the Toronto band’s fourth album, Lost Channels. For a project that has seen a slow upward trajectory since its humble beginnings in 2001, the Great Lake Swimmers are suddenly getting exponentially more attention across North America and Europe, entrancing newcomers to the band with Dekker’s unforgettable voice and compelling songwriting. That Lost Channels was a success in Canada is no surprise: Great Lake Swimmers have long been a word-of-mouth favourite for whom critical mass was inevitable, and they are regarded as a national treasure by the country’s public broadcaster, the CBC; Lost Channels recently topped the chart on CBC Radio 3 (which is also broadcast in the U.S. on Sirius Satellite Radio). It also attained the #2 Most-Added position at the influential radio trade magazine Friday Morning Quarterback. It debuted at #10 on Billboard’s Heatseekers Chart in its first week, re-entering the Top 10 in May, and was #1 on the Amazon MP3 downloads chart. Meanwhile, an older non-album track, “See You On the Moon,” can be heard on prime time television in a Honda ad. And individual bloggers have been massive champions: Great Lake Swimmers reached “Most Blogged Artist” status on premier MP3 site Hype Machine. No doubt much of this has been fuelled in part by public endorsements by the likes of Feist, Robert Plant, NBC Nightly News anchor Brian Williams and cyclist Lance Armstrong. The latter two have both raved about the band on their personal websites; the former have handpicked the Great Lake Swimmers to open shows and whole tours. They’ve also shared bills with Bela Fleck & The Sparrow Quartet, Hayden, Goldfrapp and Bill Callahan of Smog. The instrument in question is the singular voice of Tony Dekker, a voice that summons ghosts from times past. It’s a voice that is capable of conveying heartache and comfort all in the space of a single phrase. Though his supporting cast has changed over the years—with the exception of longtime right-hand man Erik Arnesen — Dekker has always encircled him self with sympathetic players who value spacious arrangements that frame his vocals. Over time, the band has evolved from a sparse, delicate and hushed unit into a well-rounded folk rock band, sacrificing none of their original intimacy while upping both the volume and tempos when necessary. Dekker chooses to record in old churches, community halls, abandoned grain silos and rural locations. It’s easy to hear why. His voice doesn’t need any studio embellishment, standing at its strongest when bathed in natural reverb and enriched by the historical context surrounding it. River imagery recurs throughout Lost Channels; the title of the album is a reference to a certain passage of the St. Lawrence, close to the recording locale, where a reconnaissance boat from a British warship went mysteriously missing in 1760. There’s no specific reference to the incident in the lyrics, though there are plenty of night skies, howling winds and raging rivers in almost every song which captures an elusive sense of mystery. As the album closes, Dekker sings the final lyrics—“Like the unstoppable river… Your beauty is gentle/ but forceful, and fast”—before the band ends on a suspended note. There is no resolution there, only eternity, a continuum, an endless river. Lost Channels also features the talents of Julie Fader (flute/backing vocals), Greg Millson (drums), Darcy Yates (bass), with appearances by Erin Aurich on violin; Mike Olsen on cello; and Paul Aucoin on vibraphone; along with special guests / Swimmers collaborators Serena Ryder with vocals on “Everything Is Moving So Fast” and Bob Egan on pedal steel. “As I Lay Dying” by William Faulkner. “To Live Is To Fly” by Townes Van Zandt. A tie between The Blacksheep Inn in Wakefield, Quebec; The Aeolian Hall in London, Ontario; The Great American Music Hall in San Francisco, California, and Union Theatre in Leipzig, Germany. Played (recently): Le Vauban, in Brest, France. Seen (recently): Timber Timbre in Montreal. Home, in all of its connotations and varying definitions. PS1. Bad Panda week is coming soon! Stay tuned! PS2. Check out our new design at http://flavors.me/badpandarecords and the updated press / guestbook page!